We're just two days away from the Thorns' debut against Orlando and the club finally confirmed the 22 player list that is going to fight this season to get the NWSL Shield and their third star. 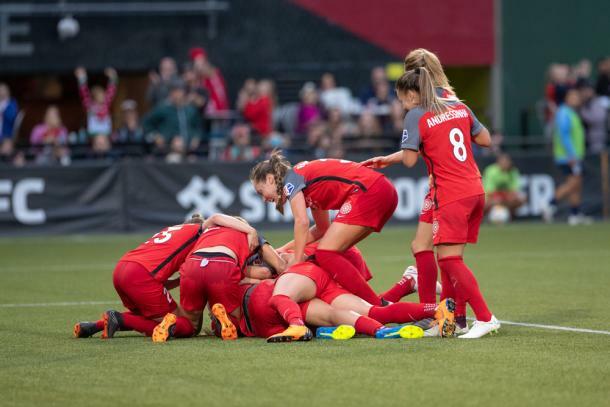 After fighting for the NWSL Championship last season and finishing second after the North Carolina Courage, Portland Thorns FC are ready to start a new season in the National Women's Soccer League. The club confirmed today the 22 players that are going to defend the red jersey and the honor of the 'Rose City'. The 2018 squad is almost intact. 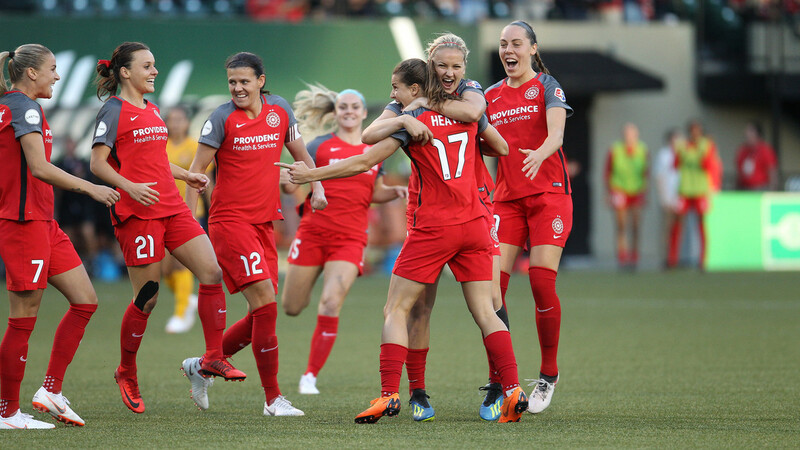 Among them we can count captain Christine Sinclair, United States Women's National Team players Tobin Heath, Lindsey Horan, Adrianna Franch and Emily Sonnett. We also have the Australian internationals, the trio is composed of Hayley Raso, Ellie Carpenter and Caitlin Foord. It was known that Foord got her Green Card so she no longer occupies and international spot. It was surprising to find out about Brazillian international Andressinha coming back, having in mind she's playing for the Brazilian club Iranduba at the moment but we've learned that she's playing there under an amateur contract and she will join the club on May 1st (along with Angela Salem). Another international that is coming back for her third season is the Icelandic international Dagný Brynjasdóttir, after a year away from the fields of soccer due to maternity. Swiss international Ana-Maria Crnogorčević will be in mix too for her second year in the league. Two new faces will be added to the squad, those are the goalkeeper Bella Bixby and Gabby Seller, both chosen in the 2018 NWSL College Draft. GOALKEEPERS: Bella Bixby, Britt Eckerstrom Adrianna Franch. DEFENDERS: Elizabeth Ball, Ellie Carpenter, Kelley Hubly, Meghan Klingerberg, Emily Menges, Katherine Reynolds, Gabby Seller, Emily Sonnett. MIDFIELDERS: Andressinha, Celeste Boureille, Dagný Brynjarsdóttir, Tobin Heath, Lindsey Horan, Midge Purce, Angela Salem, Sandra Yu.